AMELIA, Ohio -- Tending to her garden, Yvette Riley said she has seen barely any bees this spring. "You would just see hundreds of bees in here on the raspberry bushes, they'd be all over," she said. "And there's not one." Riley started getting concerned last year when she noticed fewer bees in her yard. She's even more concerned now. "It's noticeable here," she said. "So what's going to happen to all the corn and everything else, and all the hundreds and hundreds of acres across the country?" Riley isn't the only one to notice a shortage of bees. 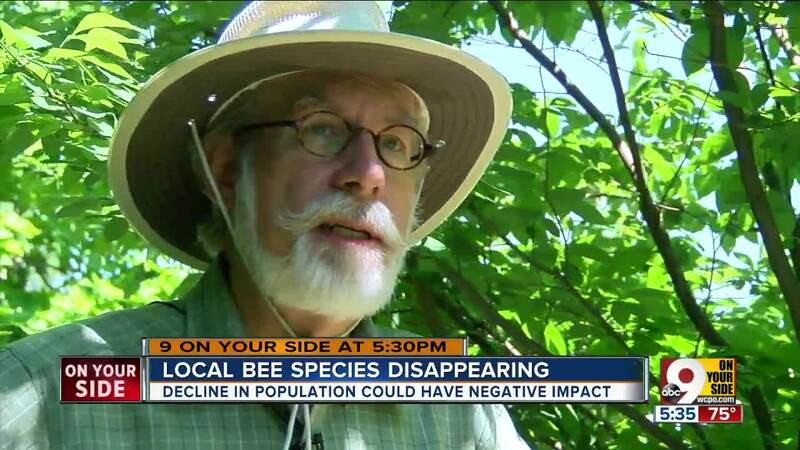 Conservationists say more than 250 of the 500 bee species in Ohio are slowing disappearing. 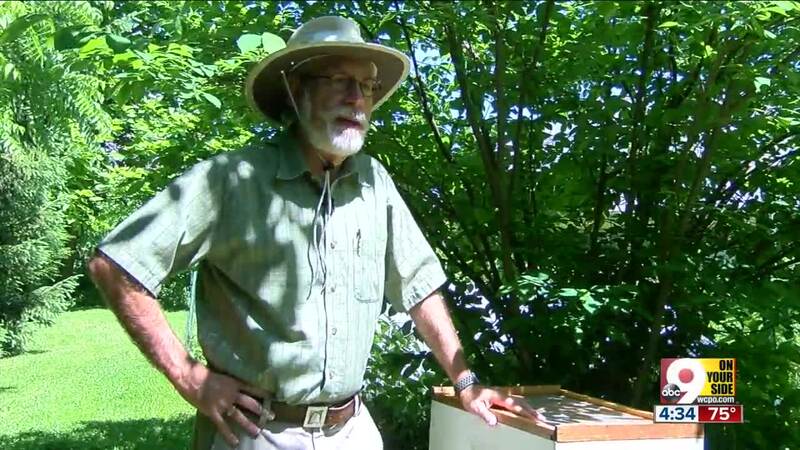 Gene Kritsky, a biologist at Mount Saint Joseph University, keeps a colony with more than 5,000 bees. But's also concerned about the disappearing species. He said loss of food for the bees and increased use of pesticides are to blame. Honey bees and bumble bees are "critical in the maintenance of our food supply," according to Kritsky. He said the majority of plant species humans use for food require bees. "We could look at it for an economic perspective, right now it looks like somewhere between $15- and $20 billion of food is bee-pollinated," Kritsky said. Something needs to happen now, before species disappear altogether, Kritsky said. "Public awareness is the first step towards addressing this issue," he said. Riley said she wants to get some hives in hopes of helping her garden.